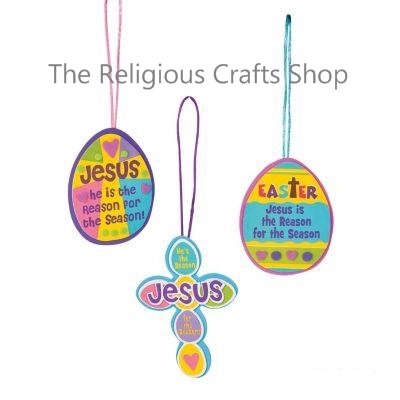 Pack of 12 Easter Crafts. This is an easy and fun craft to make to celebrate Easter. Each craft is individually packaged with all you need - instructions and self adhesive foam shapes. Finished craft measures approximately 10cm.